Shape the ideal consumer experience by promoting products or product groups for any search or navigation. Increase average order value by seamlessly implementing cross-sell strategies. Take advantage of KPI metrics like revenue, ratings, popularity, inventory or sales rank to positively influence conversion. Direct merchandising efforts towards lucrative user segments by crafting personalized user experiences. 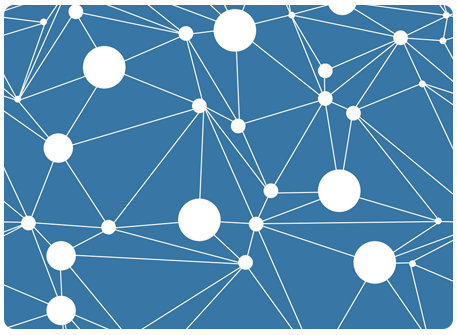 Easily pinpoint the right moment and create campaigns that resonate. Continuously see search results improve with machine learning that uses shopper behavior, buying patterns and your analytics. 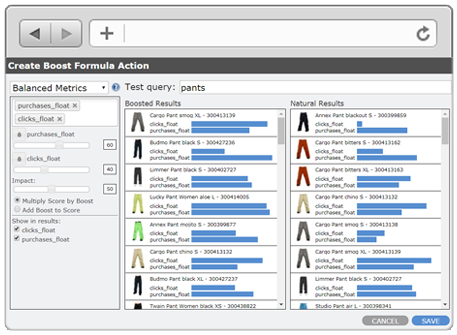 Instantly respond to emerging trends without manual intervention. Merchandise based on a shopper's search, navigation, context or any combination. Provide the perfect product mix using metrics such as revenue, rating, popularity, inventory or sales rank, or any combination. 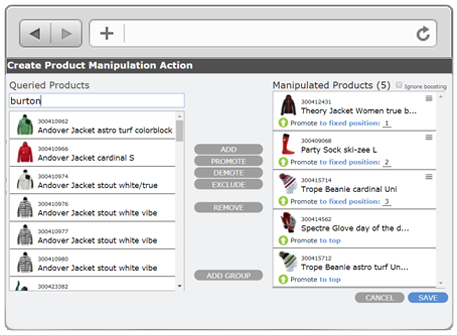 Carry out multiple merchandising actions with precise trigger conditions. Guide shopper's navigation with rules to reorder, rename, hide and show categories and values. 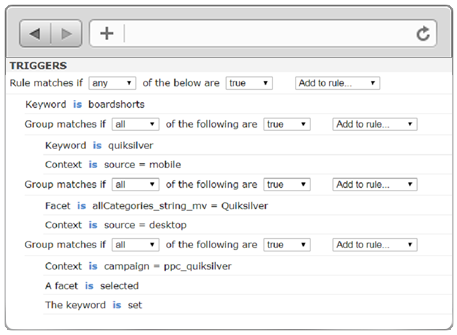 Perform precise query handling to increase precision and relevancy, flawlessly handle multi-word synonyms and auto-correct queries. Schedule merchandising campaigns for seasonal or trending needs. FindTuner for SAP Hybris works seamlessly with your existing Hybris Solr installation and product indexing process. Deployment is as easy as installing our SAP Hybris extension. FindTuner takes Hybris merchandising to a new level allowing you to increase conversion, align merchandising and marketing strategies, optimize the digital shelf and provide better customer experiences. More information can be seen on our SAP App Center Listing page. Please Contact Us for more details or schedule a personalized demo today!